Gadacz, René R.. "Métis Settlements". The Canadian Encyclopedia, 16 October 2018, Historica Canada. https://www.thecanadianencyclopedia.ca/en/article/metis-settlements. Accessed 20 April 2019. Métis Settlements located across the northern part of Alberta are comprised of the Paddle Prairie, Peavine, Gift Lake, East Prairie, Buffalo Lake, Kikino, Elizabeth and Fishing Lake settlements. These eight settlements form a constitutionally protected Métis land base in Canada. Métis Settlements located across the northern part of Alberta are comprised of the Paddle Prairie, Peavine, Gift Lake, East Prairie, Buffalo Lake, Kikino, Elizabeth and Fishing Lake settlements. These eight settlements form a constitutionally protected Métis land base in Canada. They comprise 505 102 ha, much of it covered by forest, pasture and farmland. The Métis are the descendants of European fur traders and Aboriginal peoples who emerged as a distinct group on the Prairies towards the early part of the 19th century. 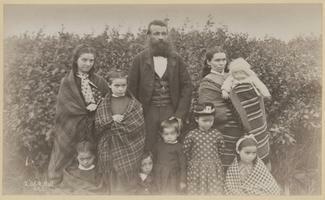 Following the Northwest Rebellion of 1885, many Métis moved to the north and west. After a period of political activism among landless Métis in Alberta during the Depression, the provincial government passed the Métis Population Betterment Act in 1938. 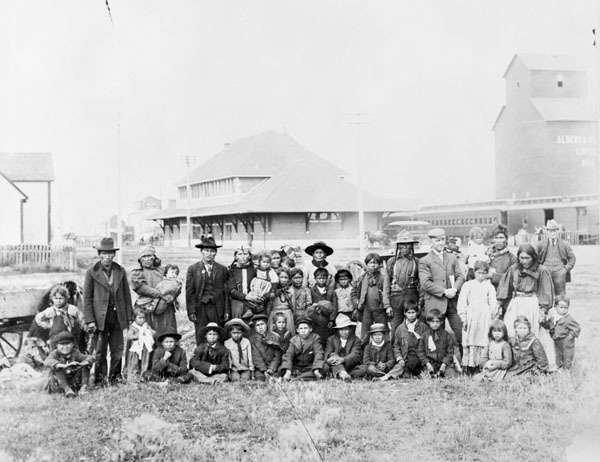 Lands were set aside for Métis Settlement Associations, though four of the settlements (Touchwood, Marlboro, Cold Lake and Wolf Lake) were later rescinded by order of the Alberta government. A distinct Métis culture combining Aboriginal and Euro-Canadian values and modes of expression is practised in the Métis settlements. For example, jigging, a favourite form of dance, mixes the reels of Scotland and France with the chicken dance of the Cree. A distinct Métis language called Michif (combining Cree, French and English words) is still spoken. Most residents of Métis settlements retain Aboriginal spiritual beliefs and customs. 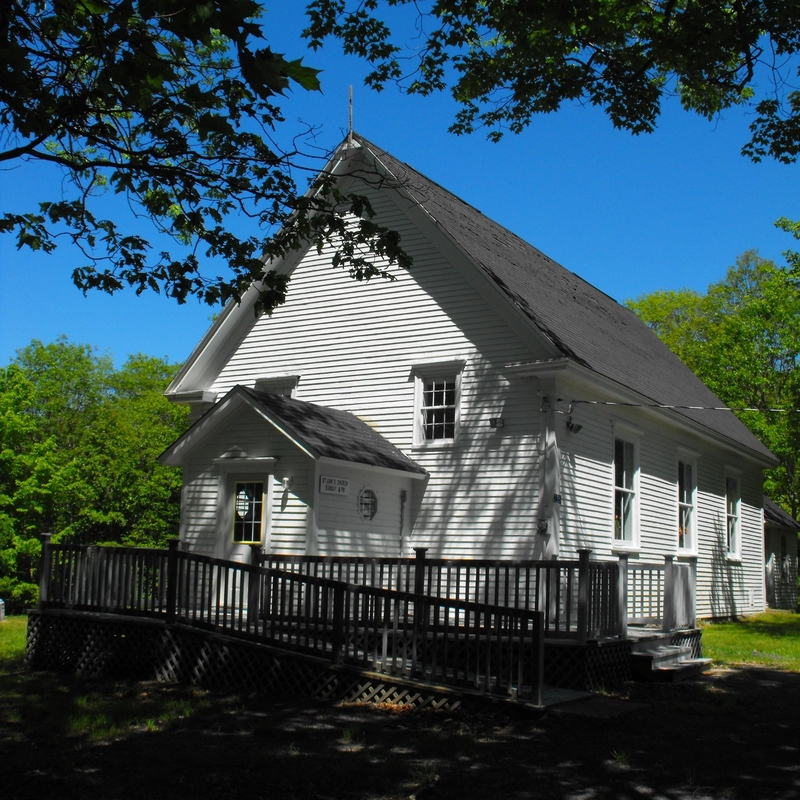 Education in most of the settlements is provided by the Northland School Division of the province's Department of Education. The settlements emphasize the need to make their children's schools responsive to the cultural values and history of the Métis people. Employment in the settlements is generated by commercial fishing, logging, farming, ranching and energy projects. As they did in the past the Métis people continue to emphasize the economic development of their land. A mixed economy combines traditional economic activities and new industrial and commercial ventures. The later 1955 and 1970 Métis Betterment Acts provided for Settlement Associations for each of the eight communities and laid the foundation for self-government. In each settlement, councils of five members were elected by settlement members (as they are now) to deal with matters affecting the settlements. In 1975 the Alberta Federation of Métis Settlement Associations was officially established to act as the political voice of the settlements and to pursue such goals as land security, local self-government and long-term economic self-reliance. In 1985 the Alberta government passed what was known as Motion18, a resolution committing the province to transfer title of the settlements to the Métis people and to provide constitutional protection of the lands by means of an amendment to the Alberta Act. This paved the way for the historic 1989 Alberta Settlements Accord, which passed into legislation with the 1990 Métis Settlement Act. Replacing the previous Métis Betterment Acts, the Métis Settlements Act provides for the legal transfer of land title to the Métis people, local municipal and traditional style self-government, and establishes eight settlement corporations and the Métis Settlements General Council as legal entities. The new Act establishes the Métis Settlements Appeals Tribunal, which provides a dispute resolution mechanism dealing with membership, land use and resource matters on settlements. Also part of the Act is the Subsurface Resources Co-Management Agreement, an agreement whereby the settlements and the province jointly manage oil, gas and other subsurface resources on the settlements. Significantly, the constitution of Alberta was amended in 1990 to recognize and protect the Métis settlements and interest in their land and resources. Canadian Aboriginal Writing and Arts ChallengeThe website for the Canadian Aboriginal Writing and Arts Challenge, which features Canada's largest essay writing competition for Aboriginal youth (ages 14-29) and a companion program for those who prefer to work in the fine arts. See their guidelines, teacher resources, profiles of winners, and more. From Historica Canada. The Origins of Métis Nationalism and the Pemmican Wars, 1780-1821About the origins of Métis culture and traditions and their relationship with other Canadian peoples in the 19th century. From the Manitoba Historical Society.